This post is based on some of the observations made in this post. It might help to understand this article. I too, o monks, before my awakening as a yet not fully awakened one as someone looking for awakening [i.e. bodhisatto – so all Buddhists below stream enterers are de facto bodhisattos :-). Theravada is full of them!] used to dwell quite often in this abiding. And through dwelling very often in this abiding o monks, neither did my body get tired nor my eyes; and I was released from the influxes of the mind [āsavehi cittaṃ vimucci = an expression for the attainment of nibbana. It is rather indirect and expresses one of the benefits of nibbana]. We know from many sutta passages that the Buddha entered the 4 jhanas before his insights into the 4 noble truths led to his final insights into the impermanent, unsatisfiable and ego-less nature of the world. We also know that he remembered his former lives and saw the working of the principle of karma based on that strong concentration he gained during the first part of the night. Is there any chance to pin down what happened when he directed his mind to the “discovery” of the 4 noble truths? Is there any other account on what he was practicing during that night? In fact we have a second account. And that is the sutta on Anapanasati. Here the Buddha talks about how to properly practice and develop meditation using breath as one’s primary object for meditation. It is quite fascinating to see how the Buddha details this exercise which encompasses elements of jhanic meditation, vipassana, the 4 satipatthana and the 7 factors of enlightenment. We can see how his whole system of meditation could have originated from this one exercise. Many of you probably know how one deep insight/experience allows you to talk about it in various ways. In order to share your experiential insight you can use examples, stories or come up with classifications. In a certain way that is what the Buddha did. Born from this one night in Uruvela he organized, exemplified, classified and taught the long lost path to the “inner city”. It is important to remember: The teaching of the Buddha is only a means for a very specific final goal – the experience of Nibbana. There are many benefits on the path to Nibbana, but none of which include clinging to views and fighting for words. And what you heard and understood – it all has concentration as its essence. Therefore, it appears paramount to see beyond any particular method described in this instruction and derive the key elements of practice. Once we isolate them and understand their significance we can see that although there seem to be so many pathways and descriptions on how to practice that essentially there is only one way to go. All instructions are nothing more than variations on the same theme – which is a combination of samatha and vipassana (or a gradual training in sila/samadhi/panya or the noble eightfold path or….) – the entire body of the Buddha – Dhamma (Buddhadharma, for you Mahayana friends out there :-). Remember what we said about people trying to get to the peak of a mountain: From below the peak seems so far away, and there seems to be a multitude of ways to go up there of which you have no clue which are the safest, the shortest, the longest, the steepest…no idea. You can only find out by a.) taking the hand of a trusted tour guide and/or b.) start walking. Once of course you get to the peak like the Buddha, in whatever direction you look you see a path to where you are right now. The birds eye and the knowledge of your experience allows you to guide anyone interested in climbing to the peak. 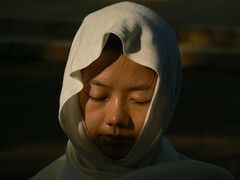 And thus while Anapanasati is still a core exercise today for both practices – jhana and vipassana meditation – , you could essentially take any other meditation object to induce concentration (like the 4 brahmavihara, kasina, etc) after some prior training in moral restraint (the most basic form of concentration training) and enter into a form of deep continuous watching, vipassana. 148. ‘‘Kathaṃ bhāvitā ca, bhikkhave, ānāpānassati kathaṃ bahulīkatā mahapphalā hoti mahānisaṃsā? Idha, bhikkhave, bhikkhu araññagato vā rukkhamūlagato vā suññāgāragato vā nisīdati pallaṅkaṃ ābhujitvā ujuṃ kāyaṃ paṇidhāya parimukhaṃ satiṃ upaṭṭhapetvā. So satova assasati satova [sato (sī. syā. kaṃ. pī.)]passasati. And how, o monks, the remembering of in-breath-out-breath, how often done will have great fruits and great benefits? Here, o monks, a monk, gone to the forest or gone to the foot of a tree or gone to an empty building and sits down with crossed legs having straightened body having set up around the nose remembering. ‘‘Dīghaṃ vā assasanto ‘dīghaṃ assasāmī’ti pajānāti, dīghaṃ vā passasanto ‘dīghaṃ passasāmī’ti pajānāti; rassaṃ vā assasanto ‘rassaṃ assasāmī’ti pajānāti, rassaṃ vā passasanto ‘rassaṃ passasāmī’ti pajānāti; ‘sabbakāyapaṭisaṃvedī assasissāmī’ti sikkhati, ‘sabbakāyapaṭisaṃvedī passasissāmī’ti sikkhati; ‘passambhayaṃ kāyasaṅkhāraṃ assasissāmī’ti sikkhati, ‘passambhayaṃ kāyasaṅkhāraṃ passasissāmī’ti sikkhati. This second part is split into two approaches. The first (and only in this whole meditation instruction) talks about getting to know our breath. Getting to know it as long/short or “coarse and refined”. This is the inital “getting in touch with our breathing” phase. It allows us to settle and get in touch with the point of concentration, our breathing. ‘‘‘Pītipaṭisaṃvedī assasissāmī’ti sikkhati, ‘pītipaṭisaṃvedī passasissāmī’ti sikkhati; ‘sukhapaṭisaṃvedī assasissāmī’ti sikkhati, ‘sukhapaṭisaṃvedī passasissāmī’ti sikkhati; ‘cittasaṅkhārapaṭisaṃvedī assasissāmī’ti sikkhati, ‘cittasaṅkhārapaṭisaṃvedī passasissāmī’ti sikkhati; ‘passambhayaṃ cittasaṅkhāraṃ assasissāmī’ti sikkhati, ‘passambhayaṃ cittasaṅkhāraṃ passasissāmī’ti sikkhati. But that is not what the text says. We have a future form in each sentence … something expressing a wish, a “may I”. And then there is the verb “sikkhati” – the training. It almost sounds like “autogenous training”. So after calming down the body and breathing he trains himself “may i feel piti”, “may i feel sukha”. It sounds strange that these things get spelled out, but its not that strange if you are familiar with Leigh’s or Ayya Khemas accounts of the 4 jhanas (search ‘smile’) you know that they do something very similar … for instance the famous “looking for the smile”. In fact, especially with metta meditation it is so easy to enter the jhanas because the smile of loving kindness comes with the start of the excercise, free of charge. So here, this person is looking for the piti AFTER he connected with his whole body and started to calm it down. Then, when he IS experiencing piti and sukha he continues to the second jhana. Now it is fascinating to see, that we entered the first jhana by first “connecting with the whole body” and then by “calming it down”. The same is done here at this point once again: “Cittasaṅkhāra” might stand for the piti and sukha just experienced (or still a form of vitakka, or both). 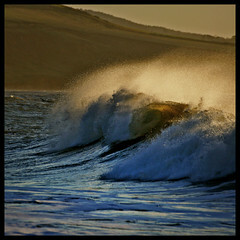 In order to go beyond those “coarse” qualities of the first jhana (i.e. into jhana no. 2-3) we need to get a mental “generalization” of them. By summarizing them as a “mental activity” or “mind representation” we transcend the piti and sukha – we move above them, away from their mesmerizing (in-drawing-grip) by simply reckognizing that they are, indeed, “just mental activity themselves” which keep us from entering even deeper states of concentration. They have fullfilled their purpose. Finally for the 2nd jhana to be established, the Buddha asks us to now calm down that “mental feeling chatter”. ‘‘‘Cittapaṭisaṃvedī assasissāmī’ti sikkhati, ‘cittapaṭisaṃvedī passasissāmī’ti sikkhati; ‘abhippamodayaṃ cittaṃ assasissāmī’ti sikkhati, ‘abhippamodayaṃ cittaṃ passasissāmī’ti sikkhati ; ‘samādahaṃ cittaṃ assasissāmī’ti sikkhati, ‘samādahaṃ cittaṃ passasissāmī’ti sikkhati; ‘vimocayaṃ cittaṃ assasissāmī’ti sikkhati, ‘vimocayaṃ cittaṃ passasissāmī’ti sikkhati. dwelling (thus) having attained the third absorption. In turn samadaham and vimocayam would denote our intention of transcending jhana 3 and moving into an even further concentrated and equanimious state of mind, the 4th jhana. The only “strange” term here might be “vimocayam” to “free” our mind. But again, with a look at the general description of the 4 jhanas it is this quality of having gone beyond all former mental states of happiness and unhappiness (a form of freedom) that we now dwell in the 4th jhana. ‘‘‘Aniccānupassī assasissāmī’ti sikkhati, ‘aniccānupassī passasissāmī’ti sikkhati; ‘virāgānupassī assasissāmī’ti sikkhati, ‘virāgānupassī passasissāmī’ti sikkhati; ‘nirodhānupassī assasissāmī’ti sikkhati, ‘nirodhānupassī passasissāmī’ti sikkhati; ‘paṭinissaggānupassī assasissāmī’ti sikkhati, ‘paṭinissaggānupassī passasissāmī’ti sikkhati. 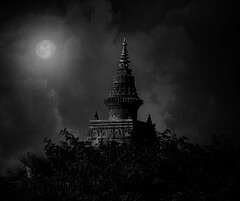 Evaṃ bhāvitā kho, bhikkhave, ānāpānassati evaṃ bahulīkatā mahapphalā hoti mahānisaṃsā. 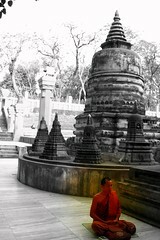 So here he trains himself to see impermanence. Remember, before the text was saying that one had to feel / experience something. Happiness, concentration etc. Now, we turn towards an activity of observation – based on the breath (and many modern vipassana systems take the breath as their anchor point for observation – so does the Ledi-UBaKhin-Goenka group as well as the Nyanarama-Nyanananda-(AyyaKhema-Amatagavesi etc etc.) group of people). If you read this sutta isolated though, you would definitely have a lot of questions. For one, the whole walk-through of samatha meditation is so clear when you know that this text refers to the jhanas – and how it does that. You can vividly imagine how each of these determinations or steps is a push into the direction of experiencing of the jhanic concentration states. The last paragraph includes (and triggered!!) 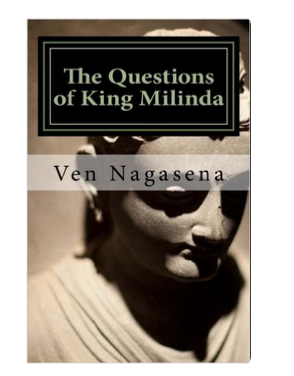 the whole gamut of what the commentarial literature generally known as “vipassana nyana” or insight stages. Let us try and hint at some of the discussions going on regarding this paragraph. ‘‘Rūpe aniccānupassī assasissāmī’’ti sikkhati, ‘‘rūpe aniccānupassī passasissāmī’’ti sikkhati. He trains himself: “I will see the impermence with regard to the form breathing in”. He trains himself: “I will see impermanence with regard to form while breathing out.”…feeling, perception,…Through this keeping-in-mind (sati as memory)/ through this knowing he observes these things. For this reason it was said: He develops satipatthana observing the dhamma with regard to the dhammas. patinissaganupassana – the mode of letting go and thus stands for the vipassana nyanas of adinava and muncitukamyata maybe even sankharupekkha. patinissaganupassana – we are now experiencing the phala (attainment) which made us “give up” or “let go” or literally “throw back” all 5 groups of grasping in a very profound manner. So while in the first “sequence” patinissaggo is part of the process of turning a moment of nirodha into a nibbana, the second interpretation seems more like the experience of the state of phala-samapatti. One could argue that both interpretations are equally valid. After all, even modern vipassana meditation masters acknowledge that the way to enter the phalasamapatti state is to simply do a determination before noting according to ones technique. This would eventually result in a nirodho where one would “jump” or “let go” and thus re-attain nibbana or dwell in an adjacent state of mind (samapatti). There are two “relinquishments…he gives up the form this is called the rejecting-relinquishment. In the destruction of form this nibbana his mind rejoices in – this is called the rejoicing-relinquishment. The worldling who attends to the arising aspect and ignores the cessation aspect is carried away by the perception of the compact. But the mind, when steadied, is able to see the phe nomenon of cessation: thitam cittam vippamuttam, vayancassànupassati, ”the mind steadied and released contemplates its own passing away”. With that steadied mind the arahant attends to the cessation of preparations. At its climax, he penetrates the gamut of existence made up of preparations, as in the case of a flame, and goes beyond the clutches of death. As a comparison for existence, the simile of the flame is quite apt. We happened to point out earlier, that the word upàdàna can mean “grasping” as well as “fuel”. The totality of existence is sometimes referred to as a fire. The fuel for the fire of existence is grasping itself. With the removal of that fuel, one experiences extinction. The dictum bhavanirodho nibbànam clearly shows that Nibbàna is the cessation of existence. There is another significant discourse which equates Nibbàna to the experience of the cessation of the six sense-bases, saëàyatananirodha. The same experience of realization is viewed from a different angle. We have already shown that the cessation of the six sense-bases, or the six sense-spheres, is also called Nibbàna. When those monks approached the Buddha and placed Venerable ânanda’s explanation before him, the Buddha ratified it. Hence it is clear that the term àyatana in the above passage refers not to any one of the six sense-spheres, but to Nibbàna, which is the cessation of all of them. This is whay at this point you most likely remember the one book on this important part of Buddhist meditation by the most Venerable Ñāṇārāma Mahāthera: The seven contemplations. If you are really really interested in a full study on the last 4 steps of insight meditation this book is highly recommended. It is even more readable and informative than the famous “The seven stages of purification and the insight knowledges”. However, unlike the latter there seems to be no online version available (at least not in English – could someone ask the BPS to release the material?). If you happen to own this book, open chapter 8 and read the summary. It will give you a very profound explanation on the sequence of nibbida, viraga, nirodha and patinissaggo. Below are some other instances in the suttas where this formula appears. As always we can approxmiate to the meaning of pali texts best by simply looking at our passage in various contexts. ‘‘Sato, bhikkhave, bhikkhu sampajāno kālaṃ āgameyya. Ayaṃ vo amhākaṃ anusāsanī. Kathañca, bhikkhave, bhikkhu sato hoti? Idha, bhikkhave, bhikkhu kāye kāyānupassī viharati ātāpī sampajāno satimā, vineyya loke abhijjhādomanassaṃ; vedanāsu vedanānupassī viharati…pe… citte cittānupassī viharati…pe… dhammesu dhammānupassī viharati ātāpī sampajāno satimā, vineyya loke abhijjhādomanassaṃ. Evaṃ kho, bhikkhave, bhikkhu sato hoti. Note: When you think about this…it almost seems as if the Buddha thought: Okay, what is the best way i can get my monks to see the true nature of the 5 groups of grasping. They are so subtle….Hm….That’s it! Why don’t i spell out an excercise which sounds more tangible but when they follow it in due course will get to a much more refined vision of the rising and vanishing of these 5 groups. So, there is body (= rupa) and feeling (= vedana) and lets call the rest simply “the mind” and its objects “mind objects” (= sanna, sankhara, vinnana). And thus the 4 satipatthana were born, another king’s path to seeing the 5 groups of grasping (1. noble truth), seeing their arising (2. noble truth) due to tanha and upadana, seeing their destruction (3. noble truth) and establishing a practice to the realization thereof (4. noble truth). ‘‘Kathañca, bhikkhave, bhikkhu sampajāno hoti? Idha, bhikkhave, bhikkhu abhikkante paṭikkante …bhāsite tuṇhībhāve sampajānakārī hoti. Evaṃ kho, bhikkhave, bhikkhu sampajānakārī hoti. Sato, bhikkhave, bhikkhu sampajāno kālaṃ āgameyya. Ayaṃ vo amhākaṃ anusāsanī. ‘‘Tassa ce, bhikkhave, bhikkhuno evaṃ satassa sampajānassa appamattassa ātāpino pahitattassa viharato uppajjati sukhā vedanā, so evaṃ pajānāti – ‘uppannā kho myāyaṃ sukhā vedanā. Sā ca kho paṭicca, no appaṭicca. Kiṃ paṭicca? Imameva kāyaṃ paṭicca. Ayaṃ kho pana kāyo anicco saṅkhato paṭiccasamuppanno. Aniccaṃ kho pana saṅkhataṃ paṭiccasamuppannaṃ kāyaṃ paṭicca uppannā sukhā vedanā kuto niccā bhavissatī’ti! So kāye ca sukhāya ca vedanāya aniccānupassī viharati, vayānupassī viharati, virāgānupassī viharati, nirodhānupassī viharati, paṭinissaggānupassī viharati. Tassa kāye ca sukhāya ca vedanāya aniccānupassino viharato, vayānupassino viharato, virāgānupassino viharato, nirodhānupassino viharato, paṭinissaggānupassino viharato, yo kāye ca sukhāya ca vedanāya rāgānusayo, so pahīyati. If in that remembering and aware monk, o monks…an agreable sensation arises, he thus knows: “Arisen is an agreable sensation. This is was caused by something not without cause. Based on what? Based on this very body. But this body is impermanent, fabricated, dependently originated. How could this sensation therefore be permanent?! He dwells seeing impermanence of agreable feelings with regard to the body…dwells seeing the fading…dwells seeing the cessation….dwells seeing the giving up. Whatever there was of a tendency of craving towards body or feeling that will vanish in him. ‘‘Evaṃ bhāvite kho, bhikkhave, ānāpānassatisamādhimhi evaṃ bahulīkate, sukhaṃ ce vedanaṃ vedayati, sā ‘aniccā’ti pajānāti, ‘anajjhositā’ti pajānāti, ‘anabhinanditā’ti pajānāti; dukkhaṃ ce vedanaṃ vedayati, ‘sā aniccā’ti pajānāti, ‘anajjhositā’ti pajānāti, ‘anabhinanditā’ti pajānāti; adukkhamasukhaṃ ce vedanaṃ vedayati, ‘sā aniccā’ti pajānāti, ‘anajjhositā’ti pajānāti, ‘anabhinanditā’ti pajānāti’’. It is important to understand that this last paragraph reflects on the state of a Stream-enterer … Arahant – and not someone who just started out with this meditation. While “newcomers” will have to exert (sikkhati) themselves to look at any feeling etc. in a fashion of pure and total observation – this mode of observation comes naturally to the enlightened being. ajjhattaṃ ca bahiddhā ca, yaṃ kiñci atthi veditaṃ. Vedanānaṃ khayā bhikkhu, nicchāto parinibbuto’ti. Is wishless and completely extinguished. Well, I am really new here. This long post does not seem to be signed, but it is very helpful. However, parimukhaṃ satiṃ upaṭṭhapetvā – and this is an opinion and not intended as a controversy or any such thing – means to bring (something) into the sati, awareness, remembrance process, whatever is to be the object of awareness. One brings the object into the “front” – here mukhaṃ means “front”, as the mouth is in the front. Whatever we look at is in front of the face, we put food into the front of the face, we breathe in through the front of the face, we see and detect scent through the front of the face, we hear by turning the face towards the source of sound. For me, this gives profound meaning to the Buddha’s deceptively simple expression parimukhaṃ satiṃ upaṭṭhapetvā. Hi Su-darsha (nice name, btw). All posts/ articles/ translation on this blog are (if not stated otherwise) “mine”. But then again, of course, they are not, due to fact that I owe what I learned about the Dhamma from so many “influences” esp. Ven. K. Nyanananda & Ven. Nyanarama et al. Enjoy your stay on the Theravadin blog.